ATLANTA – In what has been a major year for the intercollegiate athletics ticket sales industry, Collegiate Consulting has announced the addition of two new ticket sales partners. Xavier University and Wright State University have announced that they will join Collegiate Consulting’s expanding roster of outbound ticket sales universities. Collegiate Consulting now maintains the ticket sales and services for 14 Division I universities, and is one of the fastest growing ticket sales firms in intercollegiate athletics. 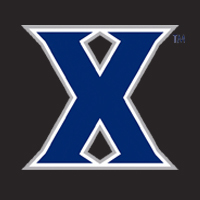 For Xavier, Collegiate Consulting will sell season, group and mini-plan tickets for all of the Musketeers ticketed sports, as well as provide aid for season ticket renewals. Chad Ruhl, previously an Account Executive at Xavier for Get Real Sports Sales, will head up the ticket sales efforts for the Musketeers. At Wright State, Collegiate Consulting will manage the sales of new, renewal and group tickets for various Raider sports, including men’s basketball. The sales team is led by Micki Ford, who joins Collegiate Consulting after serving as an Account Executive at WSU for Get Real Sports Sales. About Collegiate Consulting: Collegiate Consulting is a comprehensive solutions-based consulting company focused exclusively on the collegiate marketplace. Featuring a team of experienced and proven individuals, Collegiate Consulting enables athletic departments and conferences to increase revenue, create efficiencies and maximize operations to succeed and prosper in a diverse climate. Collegiate Consulting was founded as partnership with Strategic Marketing Affiliate in 2005, since its inception, Collegiate Consulting has worked with over 325 institutions.